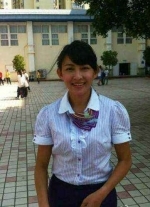 We have found 1 local tutor offering private language lessons in Dalian. I am a native Chinese speaker. I have master degree in education. I can speak good English. I hope to help you to improve your Chinese. Teaching Chinese as a Foreign Language. My expertise is in teaching Mandarin for commercial communication and academic purposes. I am able to teach simple characters. I believe that myrelaxed approach and understandable teaching methods will help any person master the language.